Autumn has always been my favourite time of year. For many it means school is returning, and it’s time to go full speed ahead into making notes and buying 12 different coloured highlighters that are probably only used twice all year. However, autumn or ‘fall’ is an exciting time of year for fashion. There is plenty of inspiration for back-to-school style, given by bloggers and in fashion magazines. 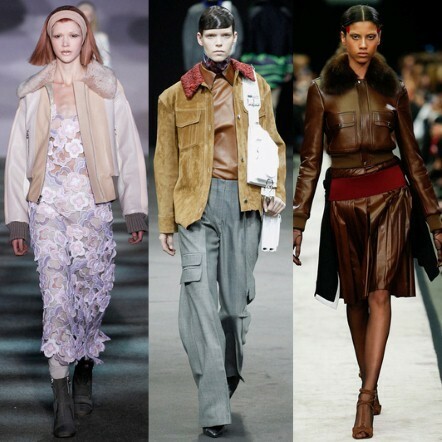 Autumn brings out the very best of runway, setting the trends for the season. Designers don’t stick to the rules and anything is allowed. One of my favourite autumn trends is pattern. And not just a basic polka-dot pattern or a spring floral, dark and mysterious patterns that stand out from the crowd. 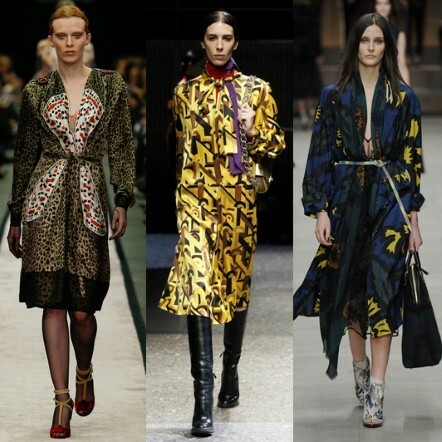 Looking at giants such as Givenchy (a fashion favourite), Prada and Burberry suggests this season will be full of mystery. Jackets are also back. Of course the temperature is dropping, so layering becomes essential. The very top layer is the most important, and becomes the statement piece for any outfit this time of year. Marc Jacobs, Givenchy and Alexander Wang showcased jackets with their prized pieces, emphasising the importance of a good cover-up. Leather jackets are a great back-to-school piece because they’re durable, warm and light. Leather comes in many different colours and textures, with jackets ranging from cropped to oversized so there’s something for everybody. And if jackets aren’t really your cup of tea, Burberry has established a mammoth trend selling blanket scarves, being worn by the likes of Cara Delevingne, Rosie Huntington-Whiteley and Olivia Palermo. 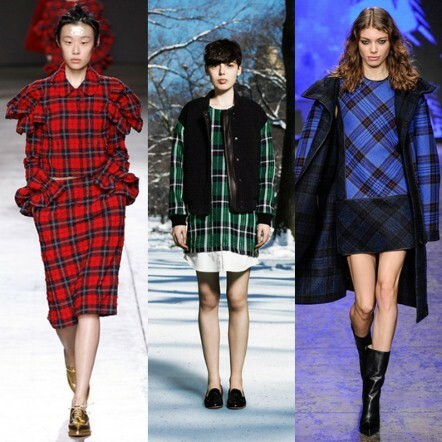 Finally, plaids have returned. The look is no newcomer to autumn, but is one of the easiest style to dress because they do all the work. Simone Rocha, Sea, DKNY all featured the fabulous fabrics on the runway, showing it doesn’t take much to create show-stopping style. Because flannel is already such a bold print, it immediately becomes a central focus point of an outfit; to finish the look add a few accessories and pieces of a similar colour and voila!